This is a stunning collection of dreamy vignette meditations on sleeplessness. 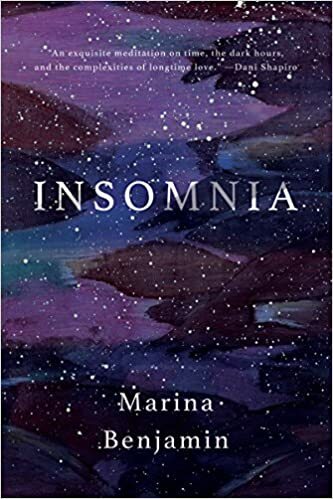 Invoking Greek gods, psychologists, fictional characters, painters, philosophers, and poets (to name a few) Benjamin invites us to experience insomnia in her prose, which reads like sleepless stream of conscious thoughts, or alternatively, like discordant dream scenes. In these beautifully disarrayed ramblings, Benjamin catapults from scene to scene, lingering on a variety of disjointed topics including: bed types, deafness, how sleeplessness makes you an island, a ghost, a zombie, falling in love with sleep, Penelope the sleepless unweaver, sugar addiction, sleep aids… these pieces make up a starry constellation of Benjamin’s insomnia. For lovers of Maggie Nelson, Anne Carson, Rebecca Solnit, Eula Biss and Susan Sontag.